Race a 10k whenever and wherever you like in May to complete this Challenge. Skip the registration fees and pre-dawn wake up. 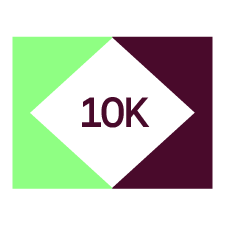 Don't skip the chance to push yourself and set a new 10k PR. Just pick a safe stretch of road (or trail), choose a route that is at least 10 kilometers long, and let it rip.